“They’re being snapped up like hotcakes!” would be an apt description of what will happen in Madrid in June 2017. I’m sure you think I’m exaggerating and that there’s still time to plan for the festivities. But I assure you that next year’s Gay Pride in Madrid will be one of the most incredible, crowd-pulling events that Europe has ever seen. With an expected attendance of over two million people, this will not be just another Pride. It promises to be a crowning moment full of glitter and social demands. A party among parties that will see an entire city – and not just any city – throw itself into putting its best face forward and showing it to the rest of the world. The machinery behind WorldPride Madrid 2017 was set in motion some time ago and now it’s time to get planning. Today I bring you a Complete Guide to Pride-Friendly Hotels designed to suit all tastes and budgets, featuring the perfect places to spend these June days in Madrid. Make a note and get booking! 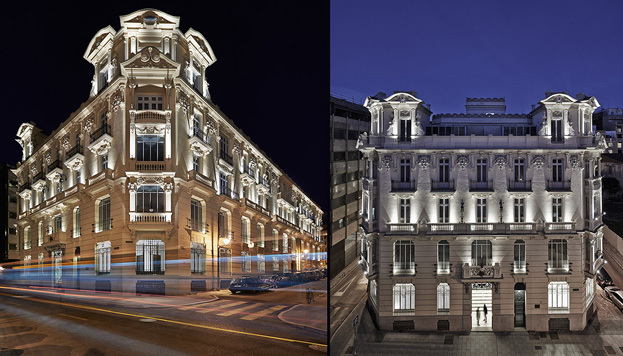 A luxury hotel converted into an art gallery. A museum where you can stay overnight. Extremely meticulous service. The current hotel of choice among Madrid society. Moderate luxury prices and an exceptional location. Plus a rooftop pool! 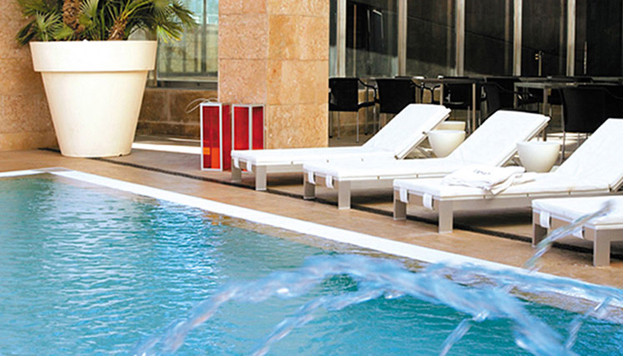 One of the latest additions to the list of five-star hotels in Madrid. It’s worth staying just to enjoy WorldPride 2017 from its terrace right on Gran Vía. And you’ll also get superb service and gourmet cuisine. 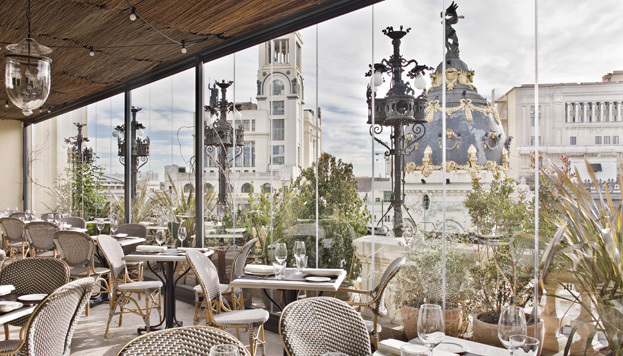 One of the most extraordinary hotels to be found anywhere in Madrid. 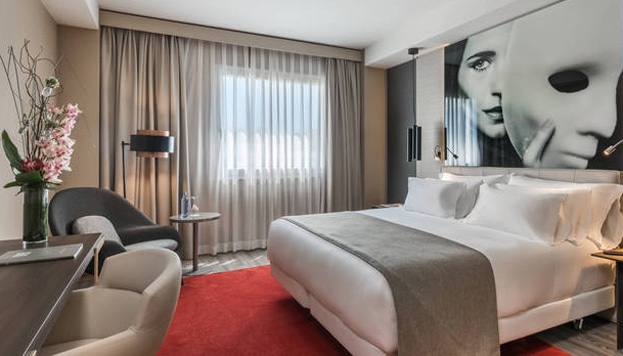 Located in the city’s most prestigious area, Barrio de Salamanca, you’ll find this five-star hotel decorated in white and black marble, which is a treat for even the most refined sophisticates. 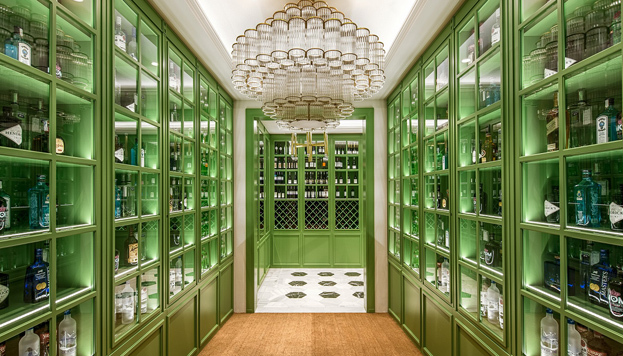 A five-star hotel with a spa and home to one of Madrid’s most popular restaurants, just a stone’s throw from Fuencarral. Do you need any more reason? Highly recommendable for couples, who’ll be able to enjoy the nearby Pride without all the commotion of the streets in the Chueca neighbourhood. 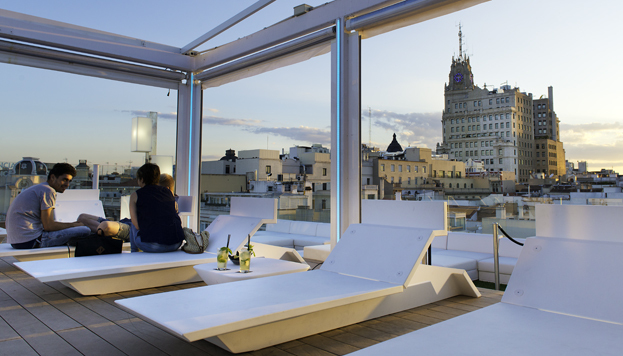 More modern and functional than its predecessors, this amazing hotel is a must on Madrid’s gay-friendly circuit. Without sacrificing the meticulous service characteristic of this category of hotel, its rooftop pool will also bring that party vibe we always look for during Pride. One of my favourites in Madrid. It offers some of the best value for money around. Small rooms that still have everything you need. 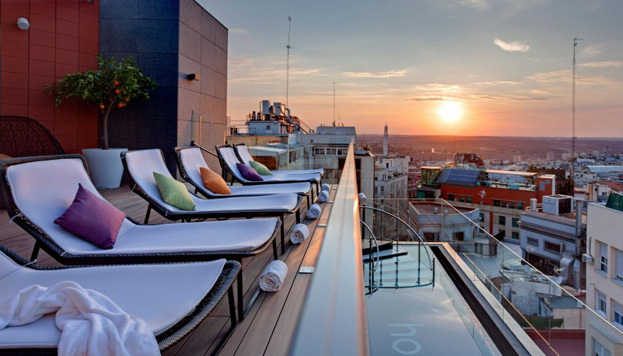 A rooftop infinity pool that’s like a dream come true and a team that will advise you on how to make the most of Madrid’s Pride. A real treat. 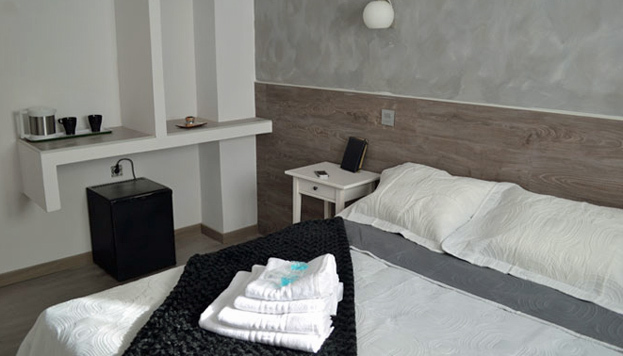 Staying at Only YOU on Calle Barquillo is more than just sleeping in a hotel. 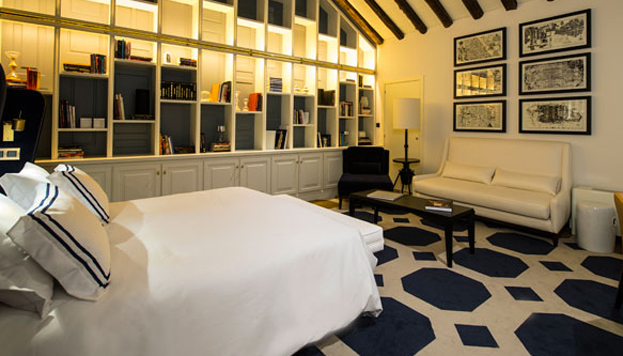 It’s being at the very heart of Madrid’s social life, smack bang in the Chueca neighbourhood with all the services of a high-end boutique establishment. Do I even need to tell you anything more about the Óscar? This quintessential symbol of gay Madrid is the place to be during Pride. If you like being in the centre of the action, then this is the hotel for you. Modern, moderately priced and right in Plaza de Pedro Zerolo. One of a thousand recent discoveries in Madrid. It’s simply not to be missed. With a fabulous interior design and an unbeatable location, it’s currently the favourite stamping ground of Madrid’s gay community. You’ll fall in love with its range of green hues, reasonable prices and rooftop food truck. It wasn’t all going to be about Chueca, naturally… or all about partying and pandemonium. 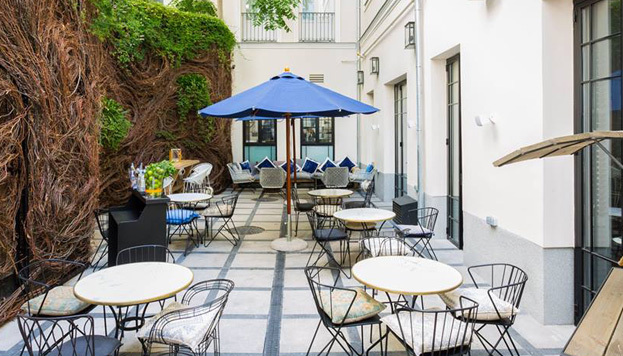 Discover ancient Madrid and historic neighbourhoods like La Latina, staying in an authentic late 19th-century Madrid corrala (residential building designed around a courtyard). 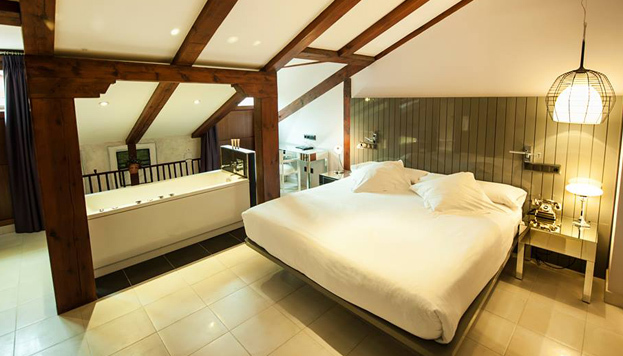 A stone’s throw from Plaza Mayor and a hop, skip and a jump to WorldPride. 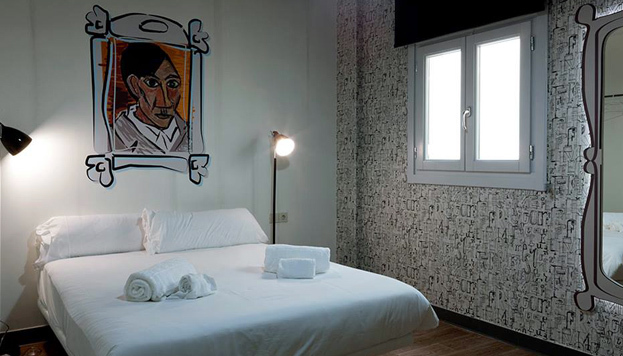 This is my top place to stay in Madrid, at least in this category. The Hat is an avant-garde and alternative hostel with laughable prices frequented by young professionals and artists from all over the world. It’s worth checking it out and listening to Disclosure on its terrace with a gin and tonic in hand. A gay hostel if ever there was one. It’s the perfect option if what you’re after is a pleasant place to stay that’s right on the doorstep of all the WorldPride 2017 action. Modern decor, affordable prices and a strong gay vibe. Although its prices are more mid-range than those of other establishments listed in this section, it’s also a great pick in terms of value for money in the heart of the city. 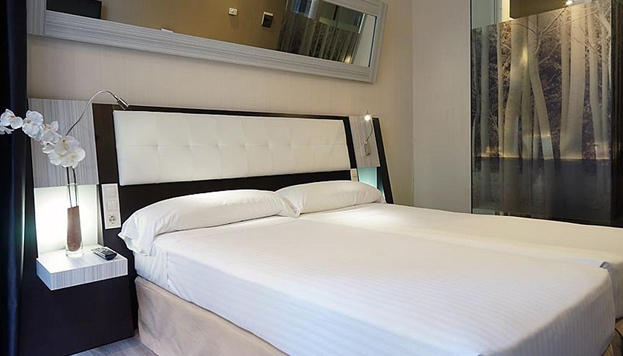 Avant-garde lines, a colouristic ambience and the services of a budget three-star hotel. 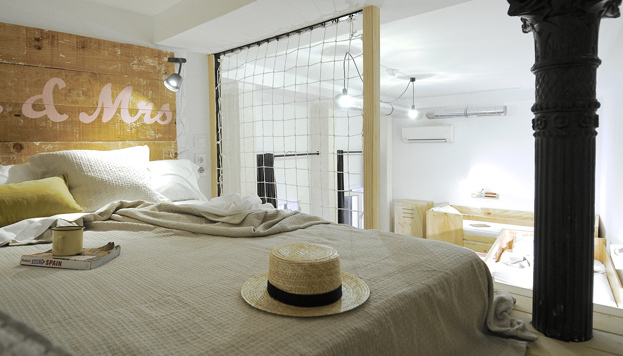 One of those 2.0 hostels for young people where you can sleep in a stylish room without spending a fortune. Add in the fact that it’s right on Calle de Fuencarral and that as soon as you step onto the street you’ll have all the hustle and bustle of Pride within arm’s reach, you’ll understand that it’s a more than recommendable option. 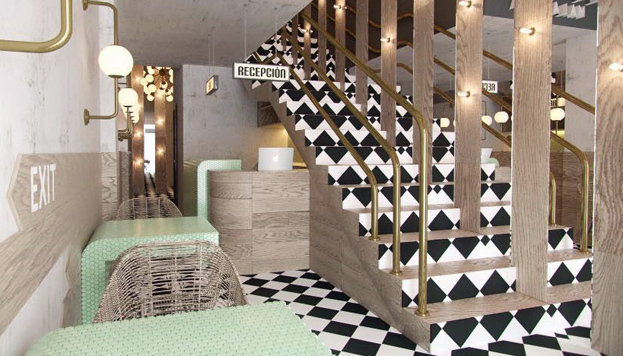 l on Madrid’s ultimate hipster street (Espíritu Santo) promises a cheap and pleasant stay.